Pannelo 15'' Sconce is a curved shield in which light is directed against the wall surface at either end of the panel, casting ambient light. Pannelo's beauty of form and soft radiance bring unique sophistication to your modern space. 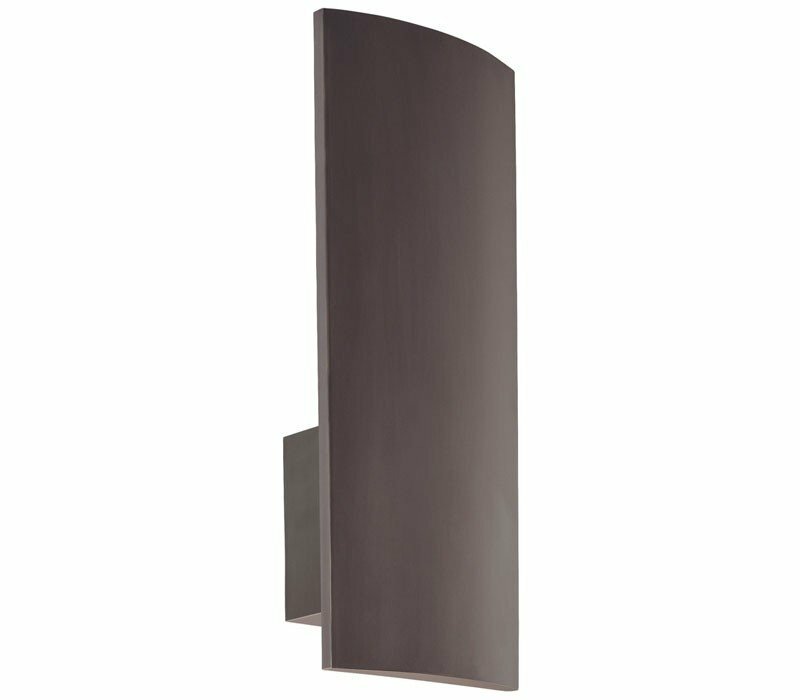 The Sonneman 1870.24F Pannelo collection Sconce Wall Lighting in Rubbed Bronze uses Fluorescent light output and brings Modern style. This item is 15"H x 6"L x 3"D. The wattage is 18. The Sonneman 1870.24F requires 1 bulb (included). Additional Information: Shade-Rubbed Bronze Shade.